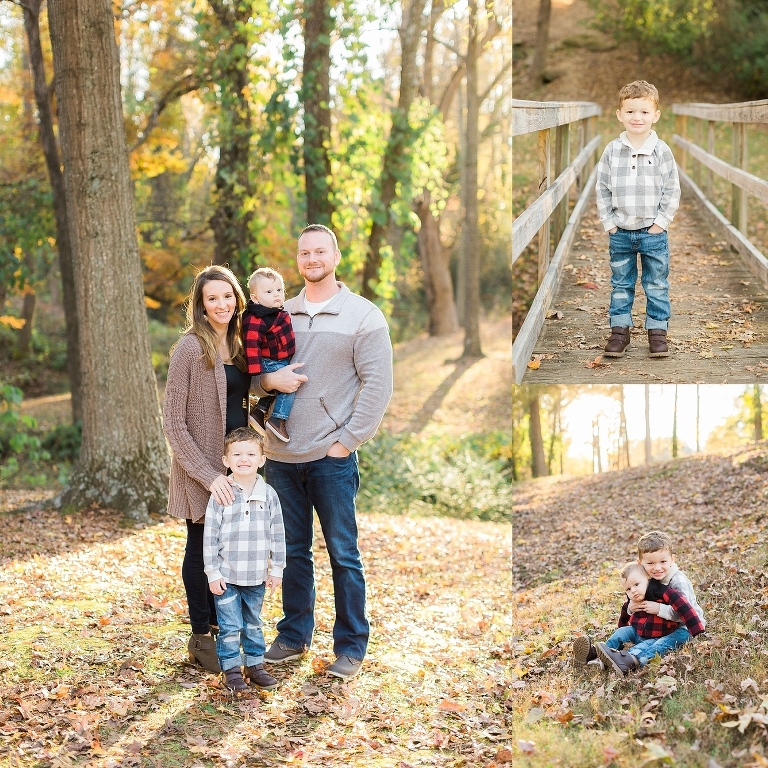 We held our Mooresville family mini sessions for the Fall season at Liberty Park near downtown Mooresville. Zach, Alicia, and their children Myles (3 years old) and Bennett (6 months old) were the first family of the day. 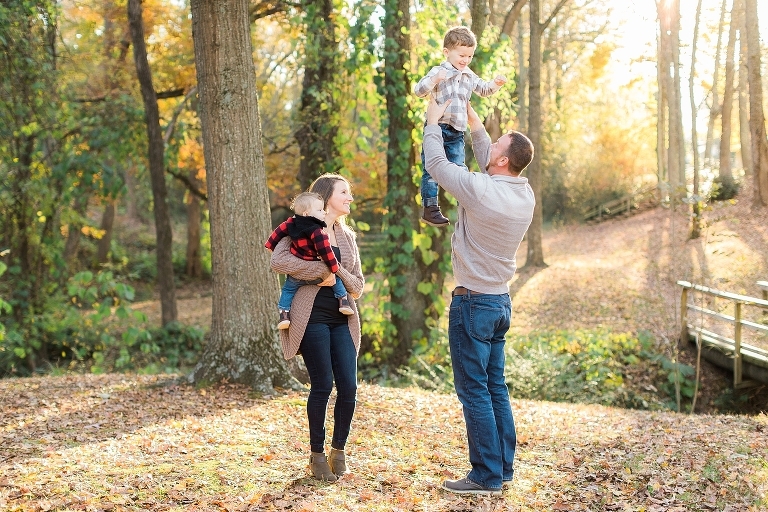 When photographing young children, it can be hit or miss with how they behave at the photo shoot (as all parents know). But these boys were so well behaved and happy that it made the mini session a breeze! Also, the sun peeking through the trees at this time of day was beautiful! Zach is a realtor with his own company, Francis Real Estate. He has been in residential real estate for over 13 years specializing in the Lake Norman area. Alicia is studying to be a physical therapist assistant. We are so happy to continue our relationship with this family and photograph them through each stage. You’ll see them on the blog again in the future for Bennett’s 9 month and one year cake smash photos!